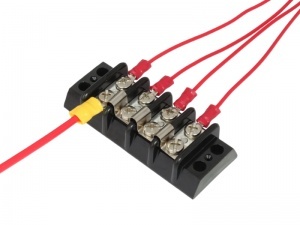 Terminal jumpers for Bluesea Systems 30A terminal blocks. 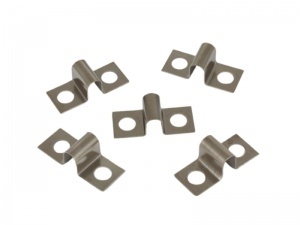 These from a 'bridge' between terminal screws, allowing independent terminals to be connected together to form electrically common circuits. Can be used to create partial or full busbars.